We have been following Steve’s attempt at breaking the one year time trial record and we were sorry to hear that he has decided to stop. This was always going to be a massive challenge, when he started he was aiming to beat a record set in1939 by Tommy Godwin of 76, 076 miles, or approximately 205 miles a day. This is every single day for an entire year. 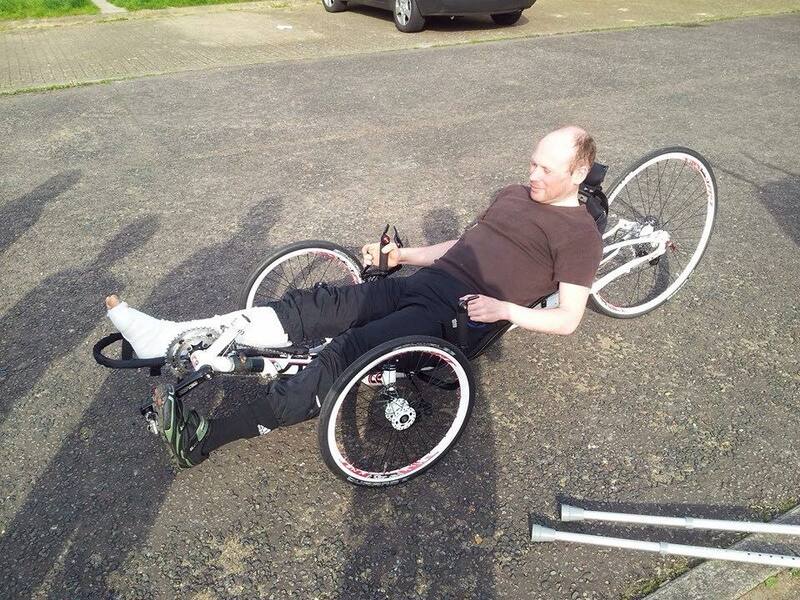 Steve started well until he was knocked off his bike by a apparently drunken moped rider in March. This accident broke Steve’s ankle in two places and left him in a plaster cast. He did try to continue, even using a trike to allow him to cycle one legged, but he never stood a chance of completing the challenge in the time frame. Steve decided to relaunch his attempt in August, after his ankle had recovered enough to allow him to hit the big miles every day, however in January Steve and his team decided to pull out of the Highest Annual Mileage World Record challenge. “Anyone who’s following me on Strava is probably wondering what’s been happening in the last two days,” he said, in a video posted on his website. “I’ve come to the conclusion that I’m just not going to get the record, so I’ve decided to stop. “I had a schedule to ride to, to get the record, and I’m just not doing enough. I’m getting further and further behind and I don’t think there’s any way I can get back on it again. A further setback for Steve was that while he was competing for the record so was Kurt Searvogel, a Florida cyclist who started only a few days after Steve. Searvogel was riding faster and resting longer than Steve, and the tortoise-and-hare race between the riders on opposite sides of the Atlantic was a slow-burn sensation. Kurt finished his year with a grand total of 76,156 miles – giving Steve a target of an average 209 miles a day. During 2015 Steve cycled a total of 63,608 miles, which is, is, as far as we know, still the fourth-highest annual mileage total ever verified. We would like to congratulate Kurt Searvogel on his achievement, it is a record that will be hard to beat. We would also like to wish Steve all the best for what ever he decides to do next, he tried his hardest and is a hero in our eyes.